I love Falloween! I’m so excited that the KBShimmer Falloween collection is live! Falloween is the perfect merging of everything I love about Fall with Halloween. From multichromes to mega flames to a crelly, this collection features many different nail polish finishes, all in seasonal shades. 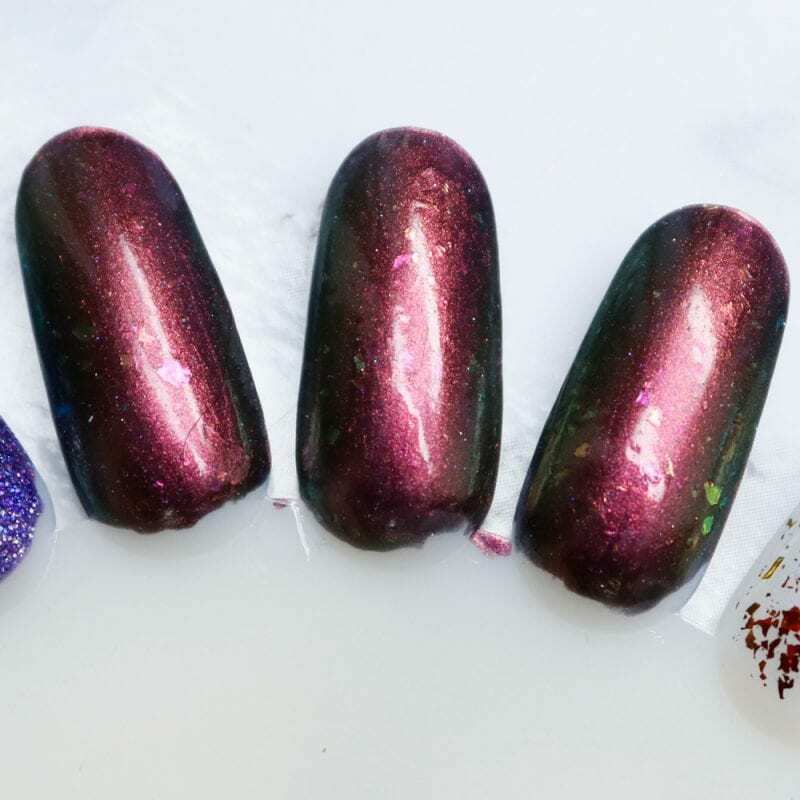 As always, KBShimmer nail polish is cruelty-free and vegan. KBShimmer sent me these colors to share with you. 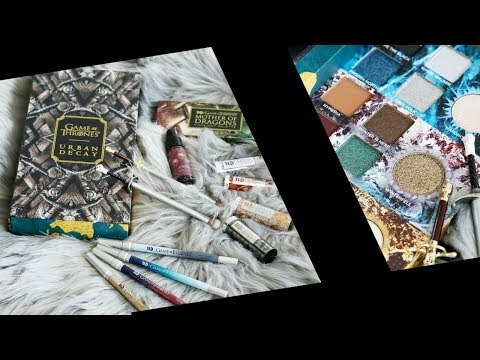 Don’t forget to enter my Fall Giveaway! Spell Check nail polish is what I think magic would look like if we could see it. 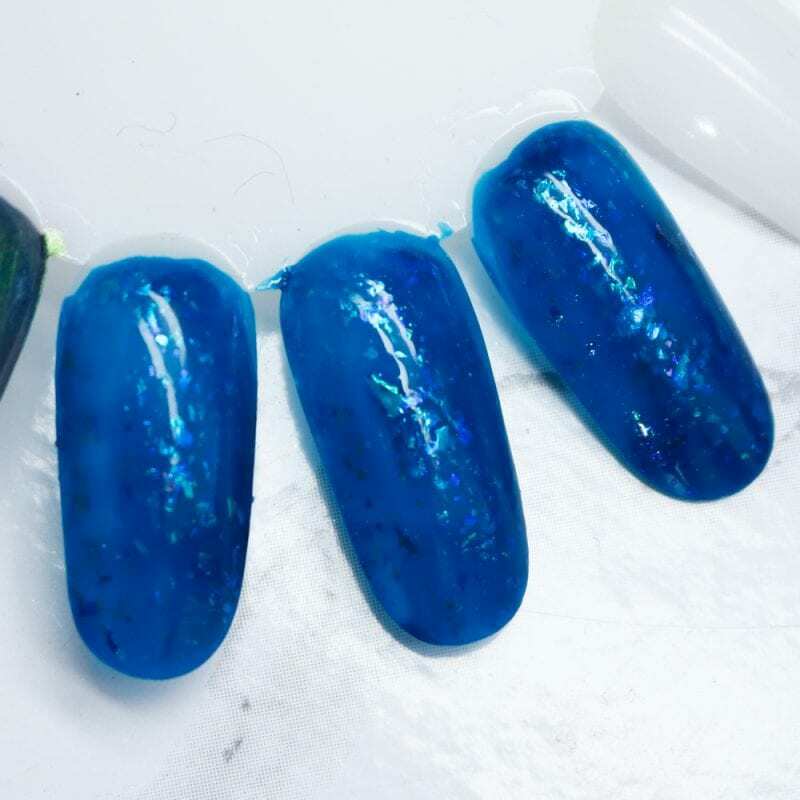 Spell Check’s deep blue jelly base is loaded with flakes that flitter between greens, blues, indigos, and aqua. Build up layers for a squishy look, or layer over a dark blue or black to really let the flakes shine. Pictures don’t do this color justice. It’s so gorgeous. I love that all of the flakies are green, blue, indigo and aqua, keeping them all in the blue color family. It makes this polish perfect. Absinthe Minded starts with a lime green hue, and quickly flows into grass green and blue. At extreme angles this polish can look navy. 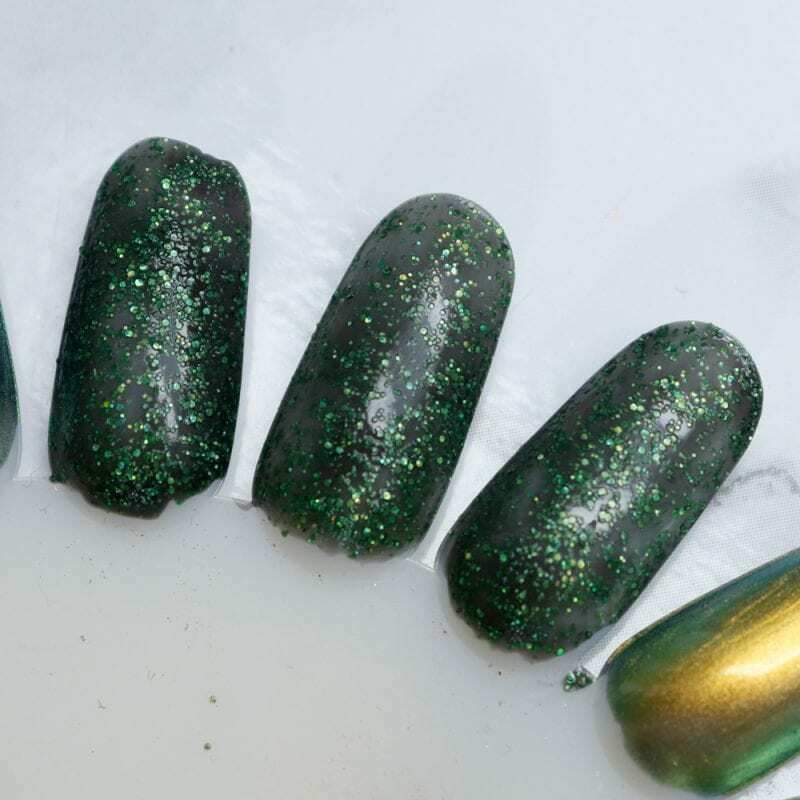 This polish is a steeped in mystery as absinthe itself! I love multi-chromes and this one is stand out. The formula is amazing. I love the shift from lime green to grass green to blue and navy. When I was a child, watching The Wizard of Oz was magical. The songs, the vibrant color, the munchkins, and of course the yellow brick road made this a movie classic. I bet many of you wanted to skip down that road too! Of course, we had to have a villain, and we know from the moment Miss Gulch tries to take the dog that we hate her, so of course when she appears as the Wicked Witch of the West, we have a grand villain to despise. 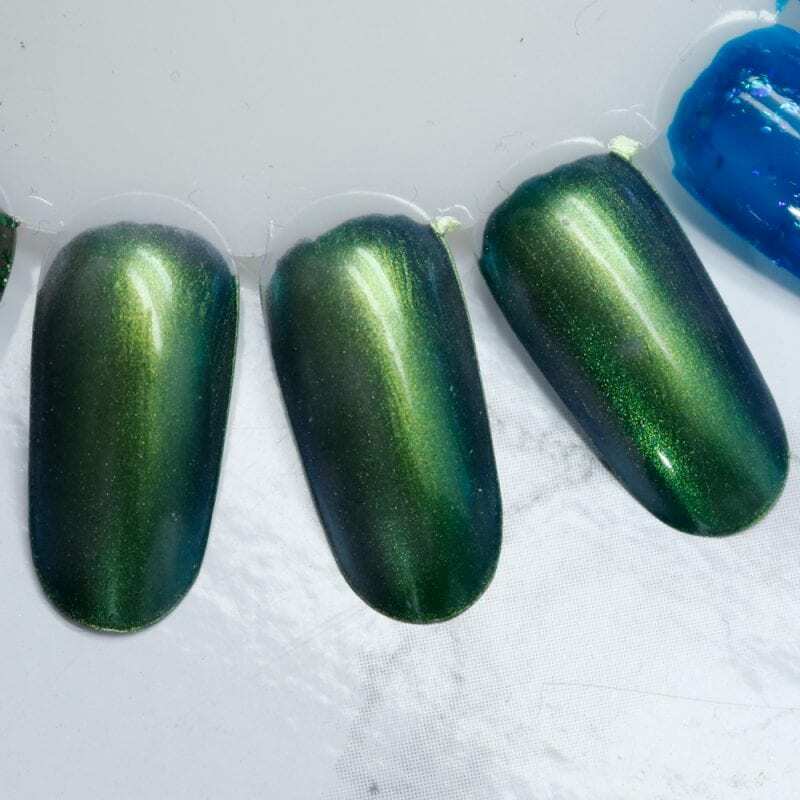 An iconic look, with her green skin and black apparel, the Wicked Witch was the perfect inspiration for this month’s PPU shade. We started with holo lime green glitters. When cold, those glitters sparkle and pop against the blackened thermal base. 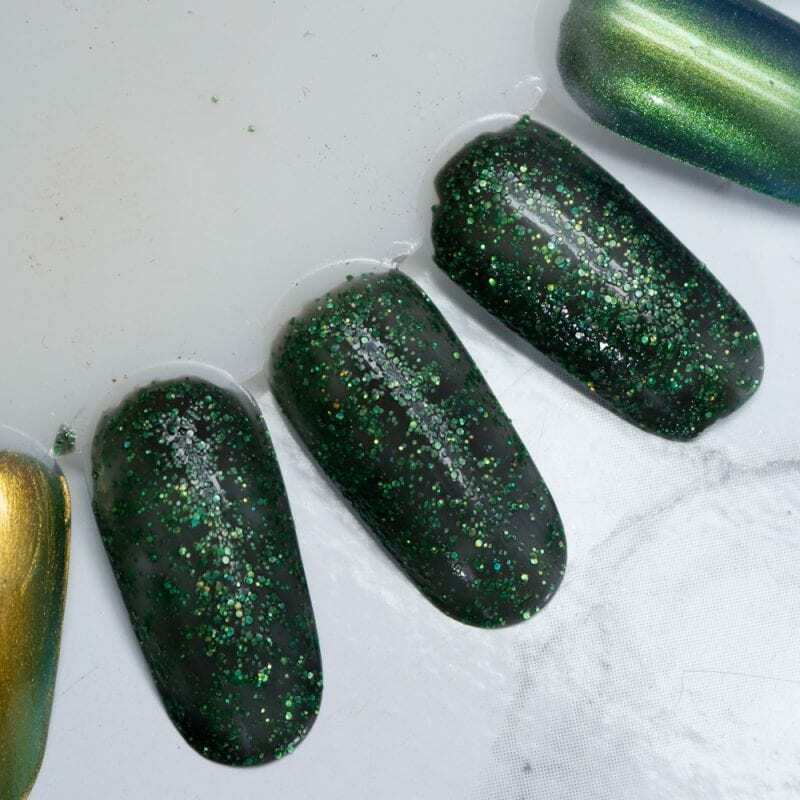 When warm, this shade is a soft green with the glitters commanding attention. This shade is semi textured, and will need a thick coat of Clearly On Top or other top coat for a smooth glossy finish. 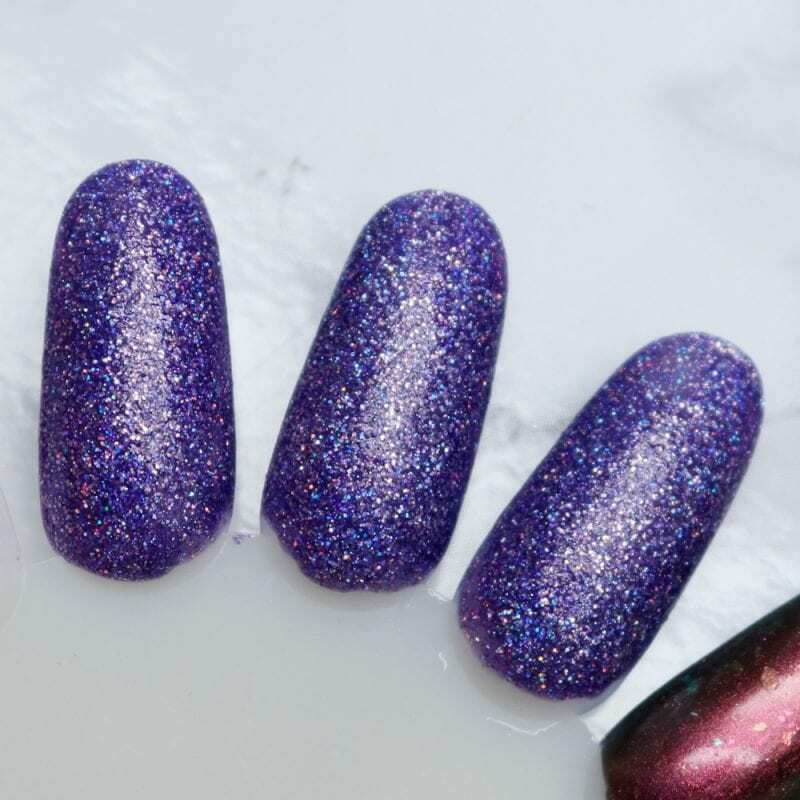 I love that Christy made Resting Witch Face for the Polish Pickup! It’s such a cool shade with perfect inspiration. 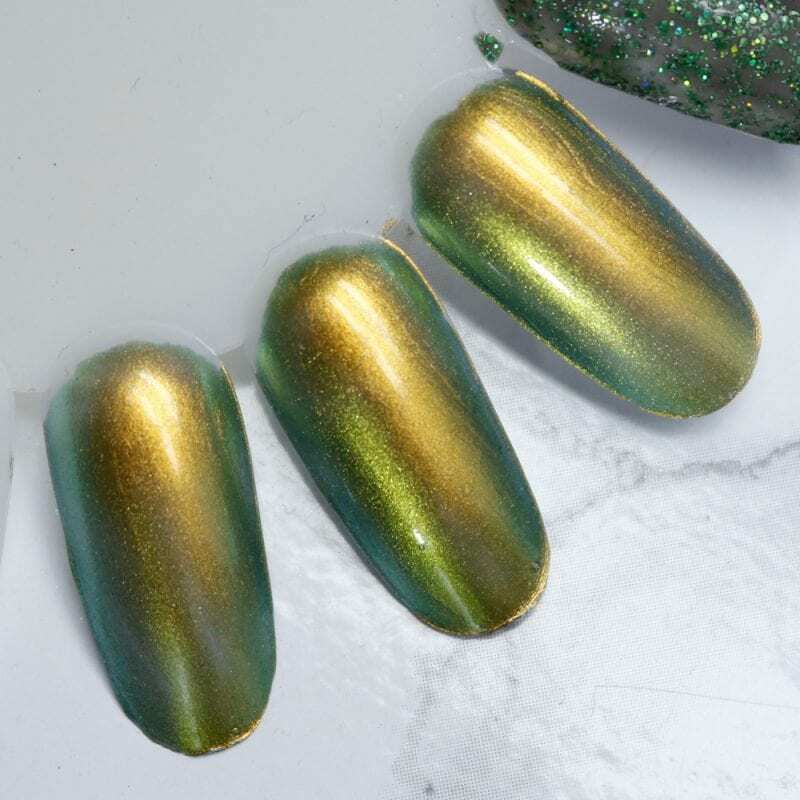 Fool Moon is a multichrome polish that has a complex shift that starts with a moonlight yellow and warmer goldenrod, shifting into shades of sage, olive, and at extreme angles, a dusty blue. Fool Moon always makes me think of a dragon’s scales and the colors you would see on them. I love the olive base that shifts through sage, yellow, green, emerald and blue. 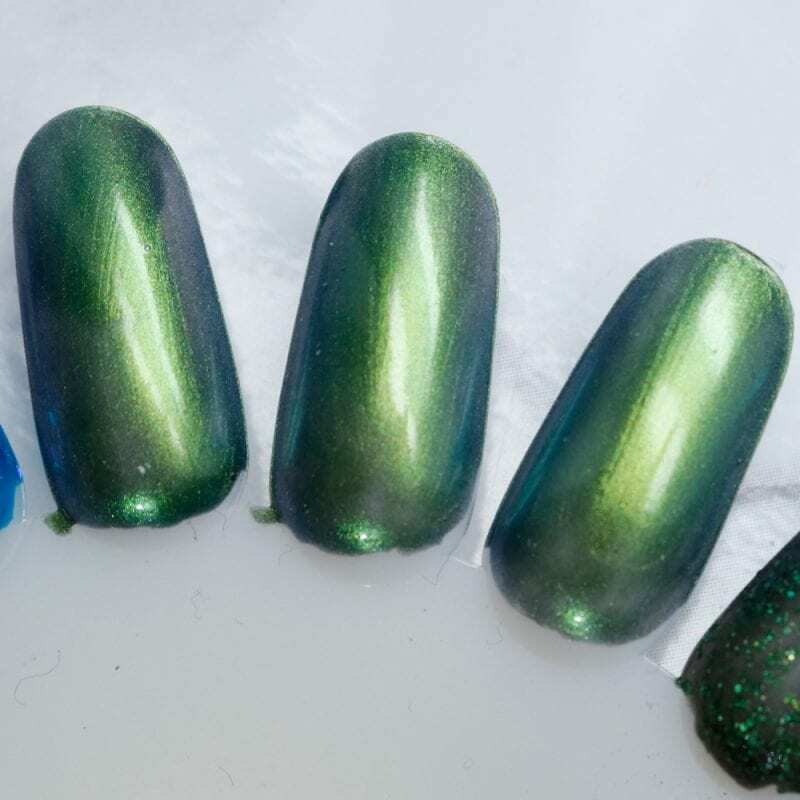 It would be gorgeous to do a gradient mani with Fool Moon and Absinthe Minded together. I just love how much all of the colors in the KBShimmer Falloween collection work together. 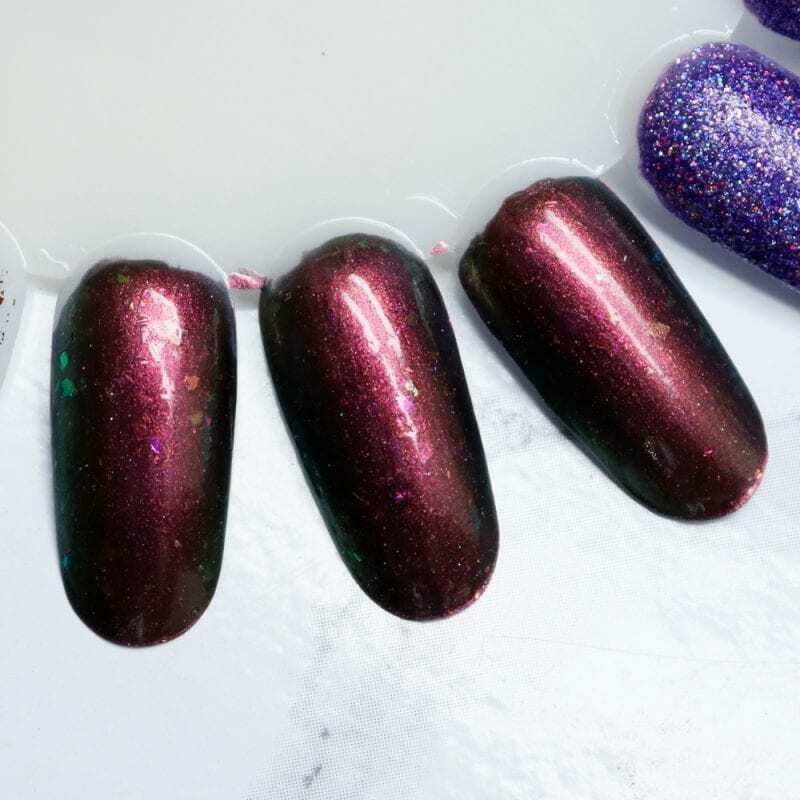 A rich purple hue, Best Witches is filled with silver holographic glitters for more sparkle then the best of spells. 1. It’s purple. 2. It’s called Best Witches 3. it’s in that mega flame finish. I think it looks amazing! I love Best Witches so much. Just look at that holographic goodness. Yum! 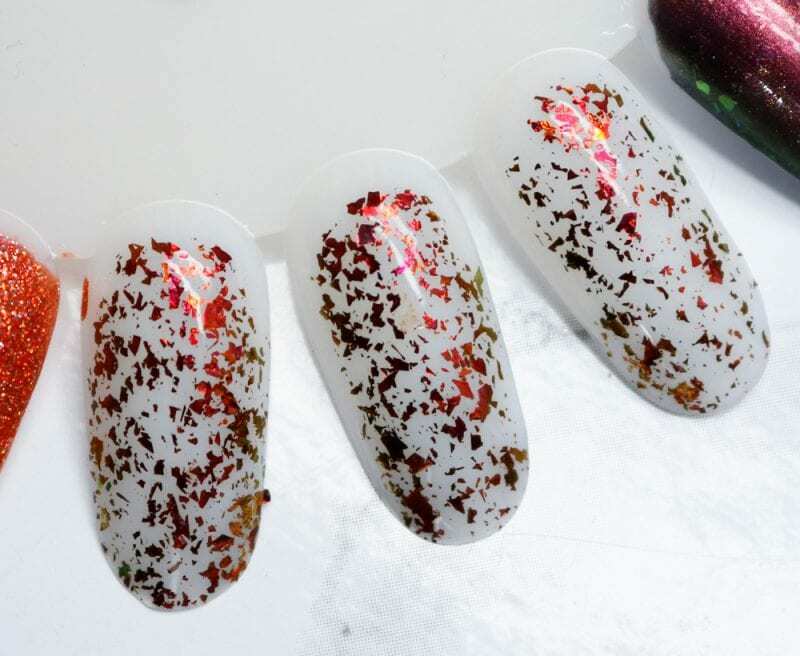 Creep It Together is a magnetic polish that comes alive when the magnetic is used to form areas of pink, golds and green, allowing the deepened black base to set off a flurry of color shifting flakes, from lime, to pink, to hints of blue and gold. I need to use the magnet with this one! I love the color shifting flakies hiding inside it. 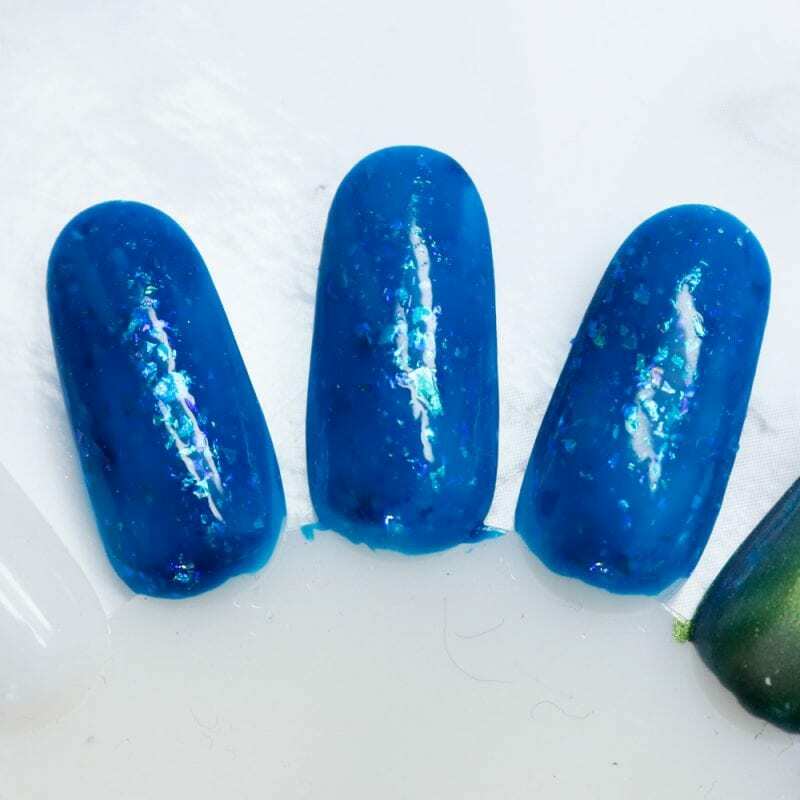 This is probably one of the most complex colors that KBShimmer has ever made. You won’t find anything remotely similar at Ulta or Sephora. of green at extreme angles. This is so pretty layered on top of Creep it Real or any other polish. It works with most of the colors in the KBShimmer Falloween collection. 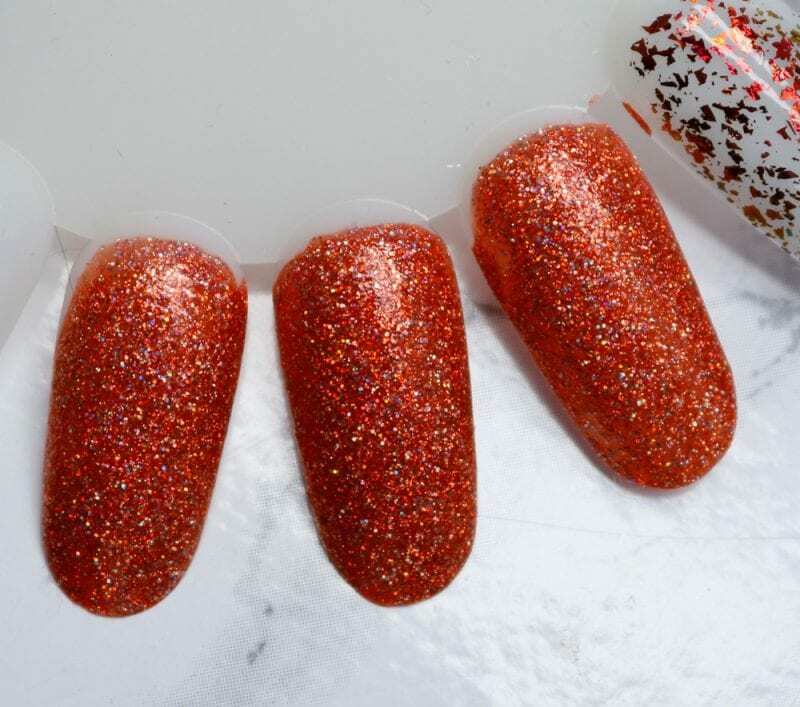 Here For The Boos, a mega flame polish in Halloween orange, is loaded with silver holographic glitters. 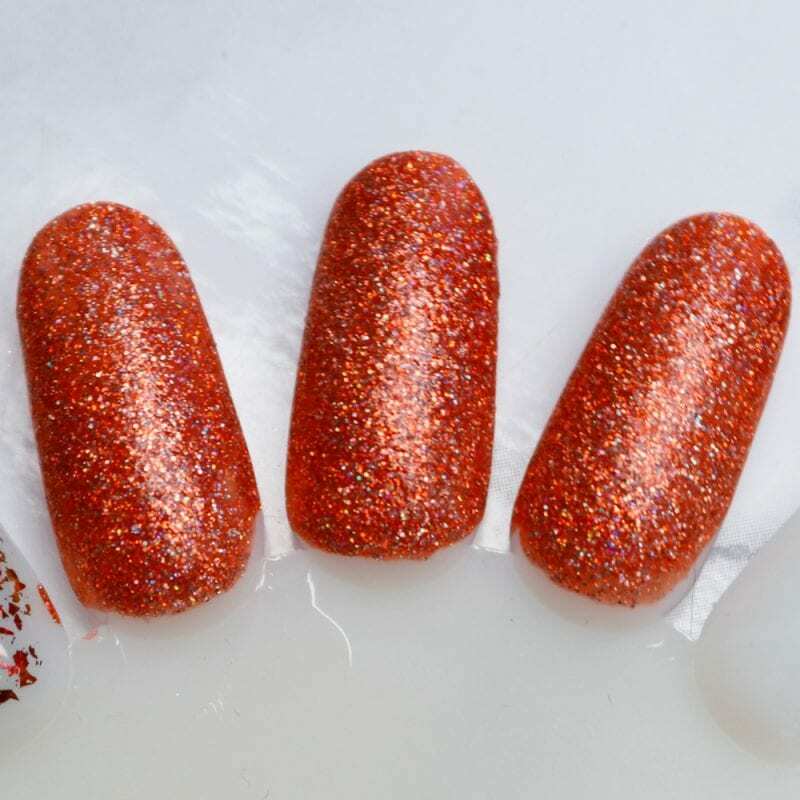 This shade has so much sparkle that you will shine brighter than any jack-o-lantern. I’m not even an orange person and I can’t deny the beauty that is Here for the Boos. I love the mega flame finish. Not gonna lie, I love this entire collection! Indies always make the best Fall and Halloween releases. I love the names, the inspirations and the colors. 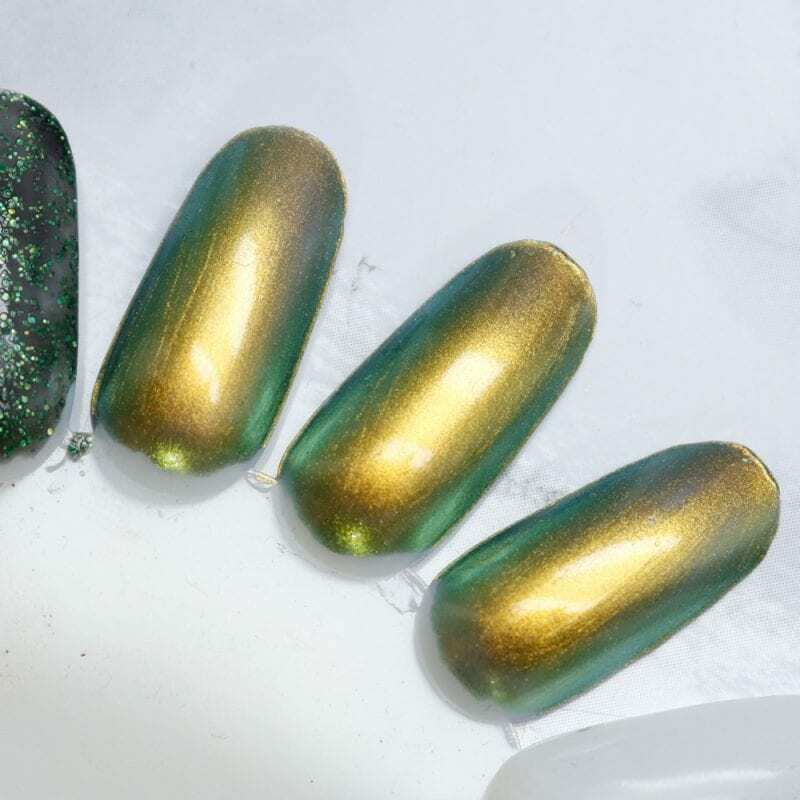 And of course, KBShimmer’s nail polish formula is excellent! It never pools at my cuticles. I don’t even know how to choose a favorite from the KBShimmer Falloween collection because I love so many shades in it. If I had to pick just one I would choose Best Witches because it’s purple and the name. But Absinthe Minded and Fool Moon are a close second! 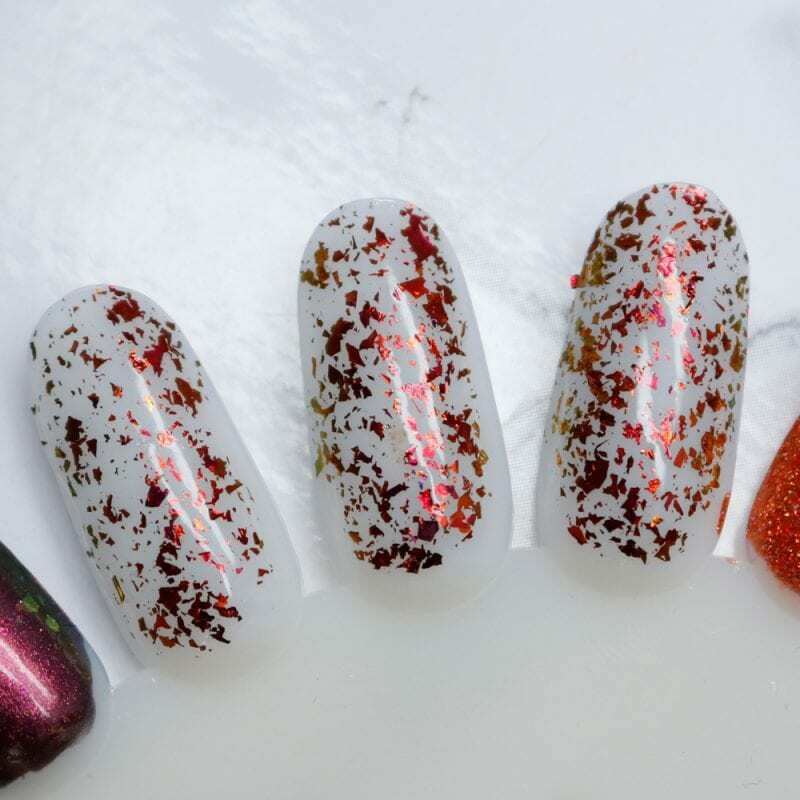 What do you think of the KBShimmer Falloween collection? See any must-have shades? I love them all but the blue and purple ones are must haves!! The make such gorgeous polishes!!! 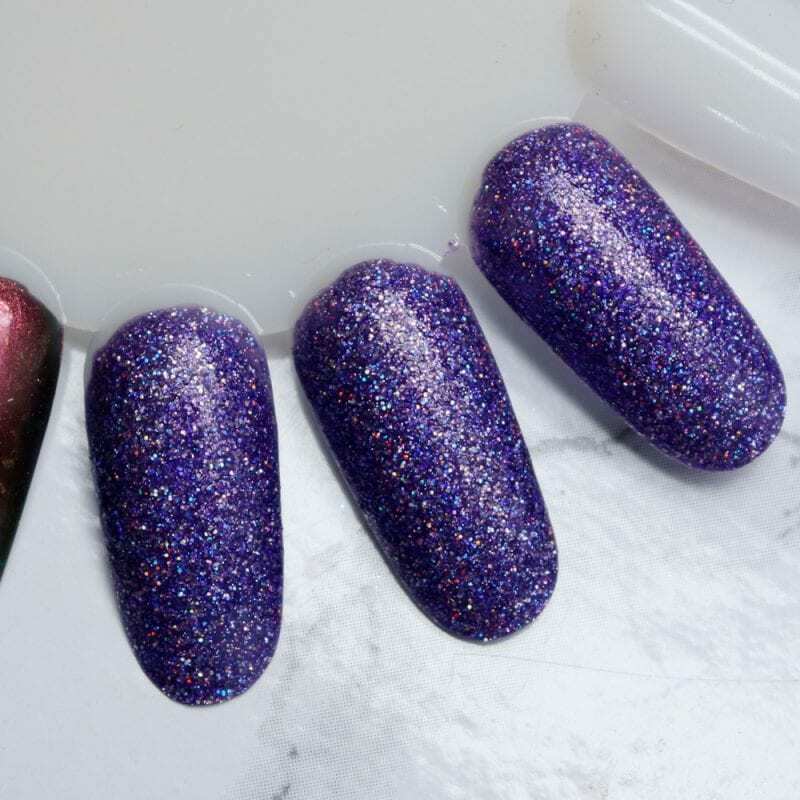 Best Witches and Fool Moon are both beautiful, fall collections are usually my favorite and it’s always exciting to see what KBshimmer puts out! 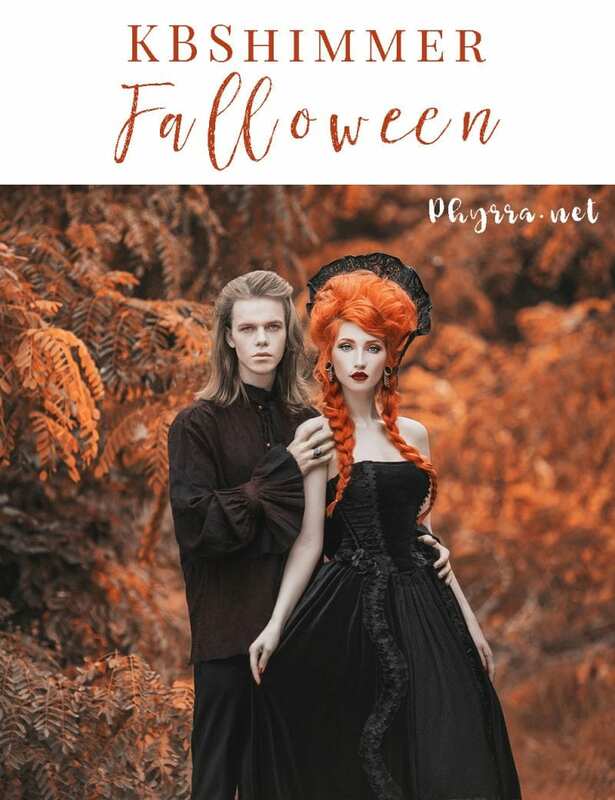 I agree – this collection is pretty perfect for Halloween and fall! I too don’t gravitate towards orange nail polish but Here For The Boos is beautiful.